GIVE. In 2007 and 2008 GHC hosted Giving Season. Why not carry our spirit forward and organize your own event for giving season? Develop a plan to corral your real world friends and family around a cause (horsey or not) that’s important to you, then act on it! BLOG. There are many sites that allow you to create a free blog, so why not start a blog of your own? These days most aspiring and published authors have a blog. In fact, some published authors (like GHC Fiction Competition judge Jessica Burkhart) were discovered through their blog. My favorite site for creating a free blog is WordPress.com. It’s easy to learn, and there’s great documentation and support in the WordPress community. You must be 13 or older to register at WordPress.com (that’s true for most blogging sites — I don’t know of any for age 12 and younger). Remember, safety first! Before you consider starting a blog, discuss it with your parents and get their support. North American Riding for the Handicapped (NAHRA): Learn about this wonderful non-profit association and search for a center in your area that may need help. Equine Assisted Growth and Learning Association (EAGALA): Another great non-profit organization with centers throughout the U.S.
Find a Horse Rescue in Your Area. Do an online search like ‘horse rescue (name of your city and/or county)’. PLAY. There are many online horse games, and most are free or have a free mode. 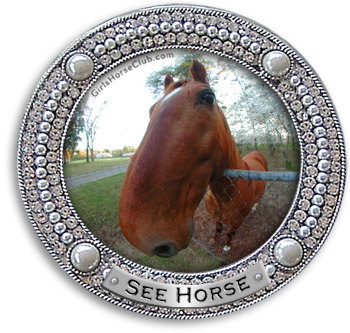 Some of the best and most popular are Bella Sara, Howrse, Horseland, and My Horse Club. For a comprehensive list of online horse games, read Online Horse Games at The Equinest. Blurb: Why wait to get published when you can do it yourself? Blurb is a free tool for creating your own book. You’ll need to download and install software on your computer so check with an adult first. It’s free to create a book, but if you want to order a hardcopy you’ll have to pay $$. Picnik: Some of you are already familiar with this free tool for editing photos and creating photo illustrations. With all the images you create, you can even start your own art blog (see above)! One True Media: Upload your photos, artwork, and video then mix with sound, music, and special effects to create your own movie! PUBLISH. Many of you have aspirations to see your work published beyond Girls Horse Club. What’s holding you back from pursuing that goal? Start by doing some research into publications that might be suited to your style and interests. The Children’s Writers & Illustrators Market is a great resource to get you started. If you can’t purchase the book, try finding it at your local library. Discovery Girls is a magazine about and featuring preteen and young teen girls. Do your research into the content they publish, and if you fell it’s suited to your talent and interests then click here for info about how to contribute. Try contacting the editor at Young Rider magazine to inquire about their submission policy. Here’s a great list of more publications that accept work from young writers.